With unique shaped mountains and peaks, green waters, unique culture and buildings, South China always enjoy great popularity among travelers home and abroad. 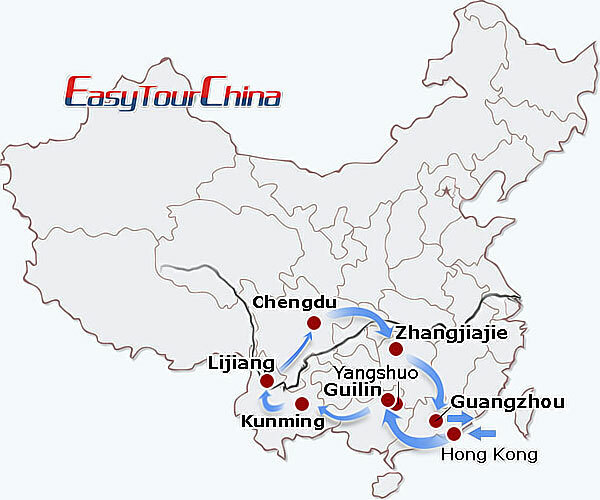 This 19 days South China trip covers the most important destinations in southern land, from Hong Kong, Guilin, Lijiang, Kunming, Chengdu, Zhangjiajie to Guangzhou. Landing at Hong Kong airport, you will be met at the airport and transferred to the hotel. 4 highlights of today: go to the Victoria Peak, which combines shopping, restaurants, and entertainment and features the oldest mode transport, the 112-year old Peak Tram and Hong Kong 's most unusual building and icon, The Peak Tower. Then enjoy time at the Repulse Bay, a relaxing sandy beach with a strong characteristic of local culture. After shopping at Stanley Market, visit the Aberdeen Fishing Village, where people can have a glimpse of boat-dwellers at Aberdeen Bay. Later, free time at leisure. 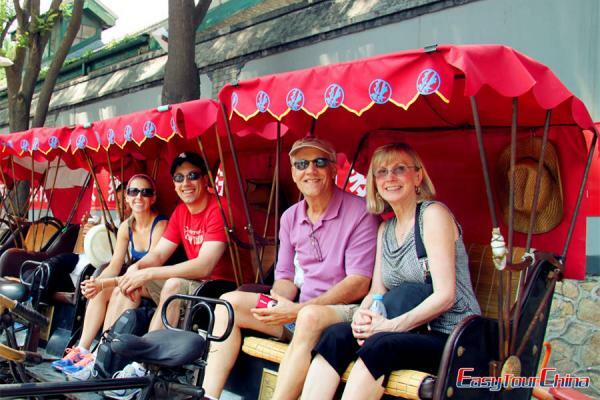 Your own arrangement to the airport and fly to Guilin. Be met at the airport and transferred to your hotel. After breakfast, a visit to the Elephant Trunk Hill, the symbol of Guilin, whose shape of the rock is just like a giant elephant drinking water from Li River with its trunk, hence the name. Then proceed to a tea farm at the suburb of the city, and experience a Chinese tea ceremony. 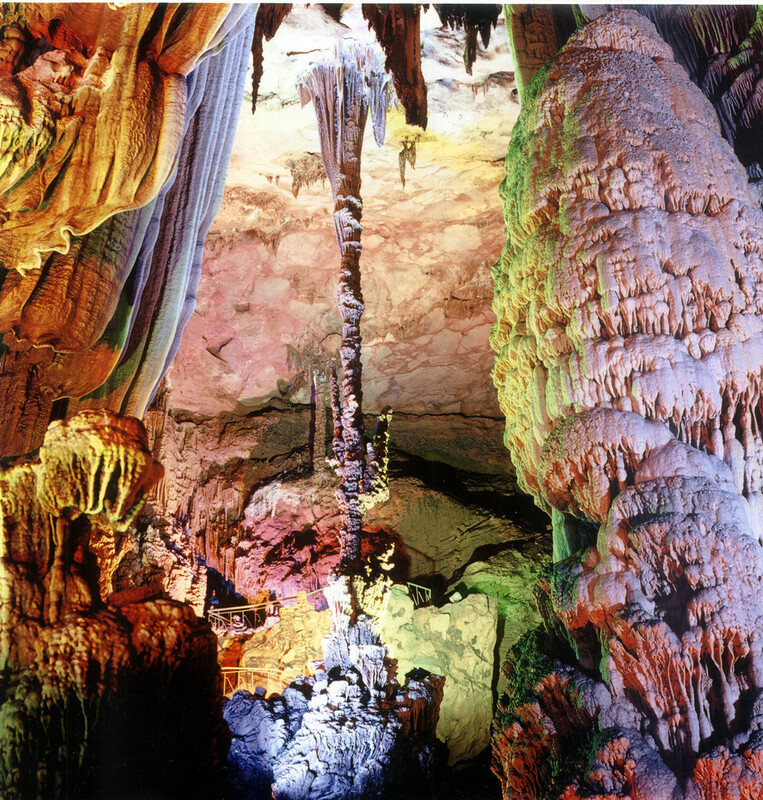 After lunch, visit Reed Flute Cave, known as "Natural Art Gallery", it is famous for its fantastic stalactites and stalagmites formation. Have a stroll at central lakes. In the morning, take the 4-hour Li River cruise. The smooth water exquisitely mirrors a fairy-tale landscape of limestone peaks erected sharply from the ground. Finally disembark at the beautiful small town Yangshuo, 65 kilometers to the southeast of Guilin, which is an internationally acclaimed tourist destination. Then be free at leisure on the West Street. 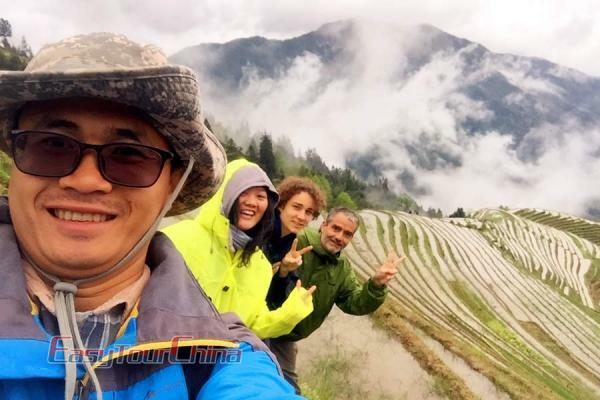 Have a cycling tour to the countryside for about 2hrs, then optional tour of bamboo rafting on Yulong River for about 1.5hrs. 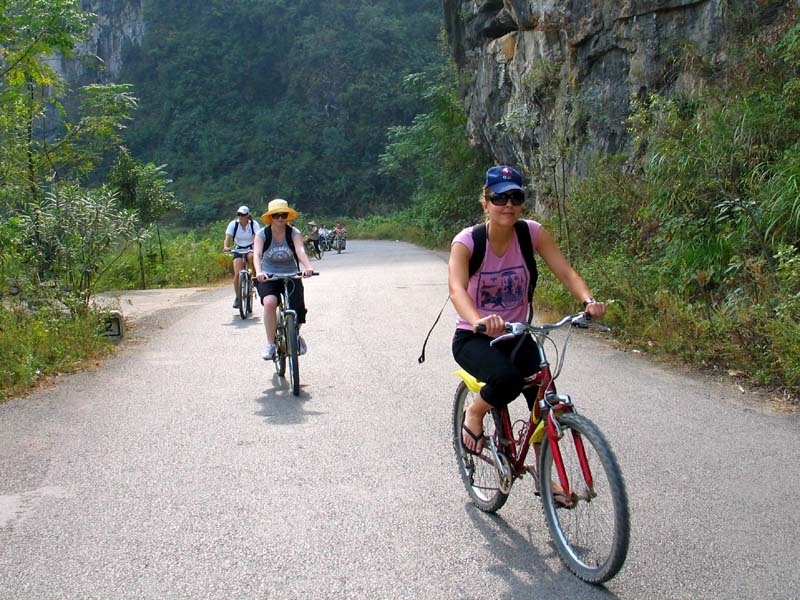 The river winds its way in a picturesque valley sided by stunning limestone hills. Sitting on a bamboo rafting (twin sharing), you can lie down on the chair smelling the fragrance of rice, watching the gentle water buffalo strolling on the bank. Transfer to the airport. Be met at the airport and transferred to your hotel. 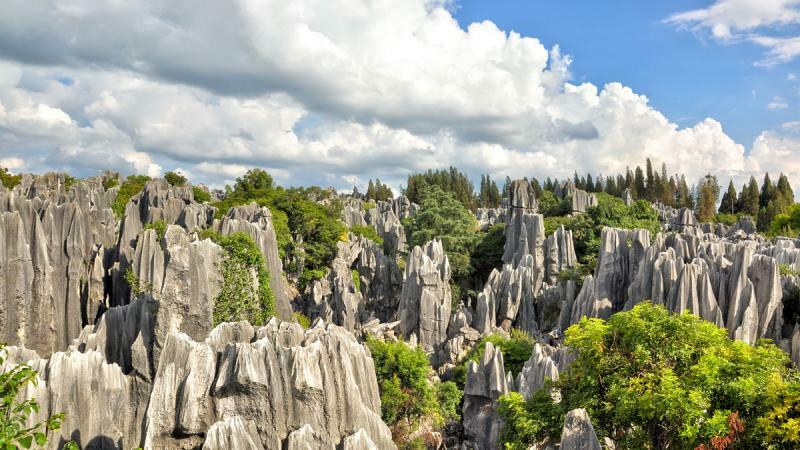 After breakfast, go to the Stone Forest, the most famous tourist attraction in Kunming and a typical formation of Karst topography. Then pay a visit to the Western Hill and Dragon Gate (with one-way cableway), a beautiful forest park located by Dian Lake which features cliff-side grottoes cut out of the sheer stonewalls. Pick up at the hotel and transfer to the airport. Be met at the airport and transferred to hotel check in. Then visit Lijiang Old Town. Originally called Dayan, Lijiang is a very well preserved old town built by Naxi people with unique cultural background. It was listed as the World Cultural Heritage Sites in 1997. After breakfast, you will be picked up and drove about 2hrs to the start point (altitude: 1790m) of the hiking. The first half to the Naxi's House (a restaurant) is about 2hrs, where you will have lunch for a rest. The 2nd part in the afternoon is about 3.5hrs. 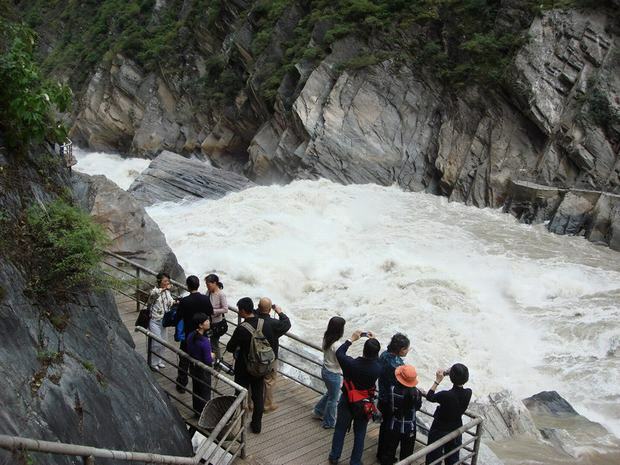 During the walk, you will see the stunning views of Tiger Leaping Gorge, a canyon on the upper reach of the Yangtze River, which offers a pleasant walk through spectacular scenery. The most difficult section is called 28 Zigzags which lead you to the highest point at altitude of 2650m. You will stay overnight in a guest house. Continue the trekking after breakfast. Most of the road is descend and is much easier. At noon time you will reach the destination, Tina's House, for lunch. Transfer to Lijiang after that. After the visit to Joseph Rock's Former Residence at Yuhu Village, go to Shuhe Old Town, the earliest settlement of Naxi people in Lijiang when their ancestors first moved to this region. 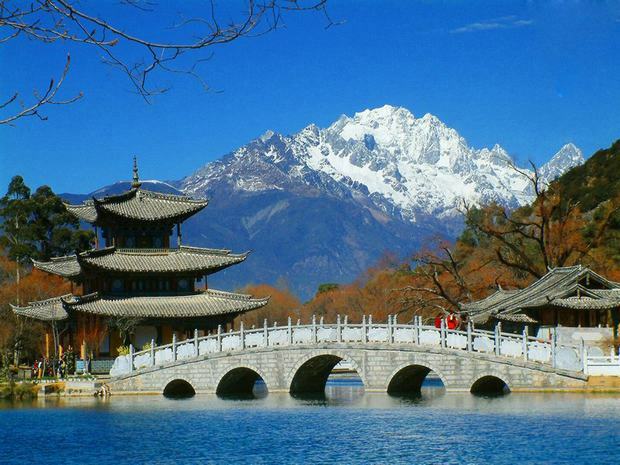 Compared with Lijiang, the town is less touristy and polished with more original characters. Then proceed to Black Dragon Pool Park to enjoy the stunning view of Jade Dragon Snow Mountain in a distance. 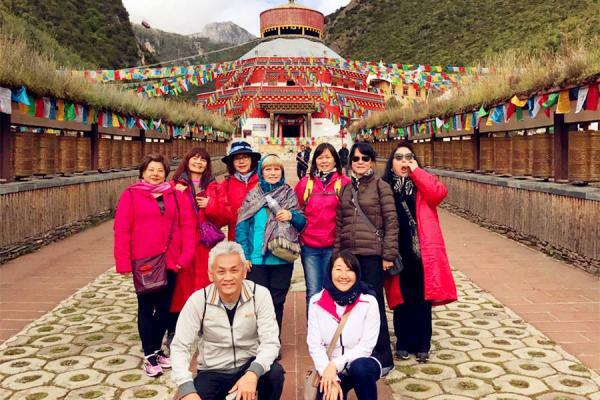 Later, pay a visit to Dongba Museum which has more than 10,000 Dongba cultural relics and various other historical relics and offers the "Dongba Culture Exhibition". Transfer to the airport and fly to Chengdu. Be met and checked in the hotel. 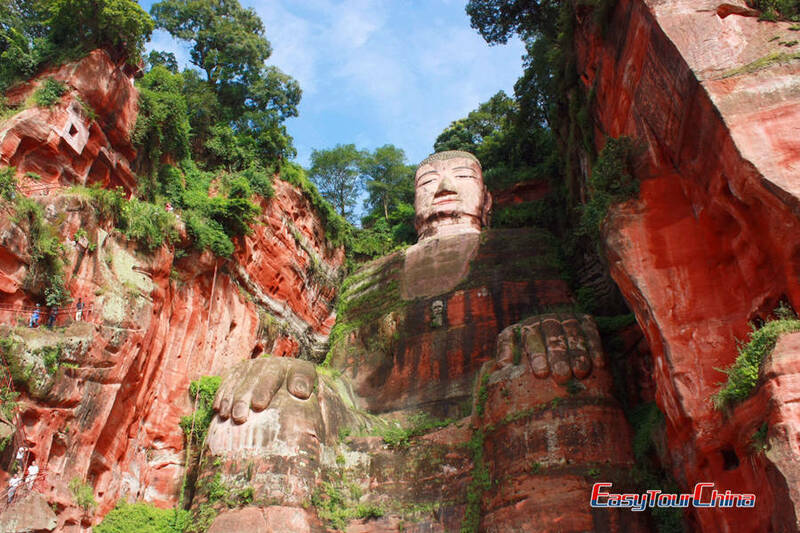 Transfer to visit Leshan Giant Buddha, the largest stone-carved Buddha sculpture in the world. The Giant Buddha is about 71 meters high and 24 meters wide. Then drive back to Chengdu, and explore Wenshu Temple and a local tea house. 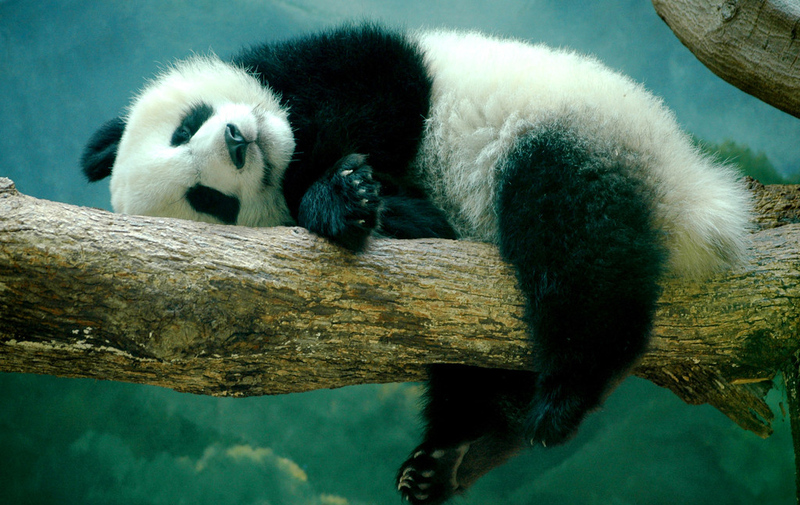 Drive to visit Panda Breeding Center to see the lovely creatures. This huge institution replicates the natural habitat of the giant panda and is dedicated to preserving and increasing their population so they will not be extinct. Then pay a visit to Jinsha Site Museum, which was regarded as the most significant archaeological discovery in the 21st century in China. Later, enjoy leisure time in Jinli Old Street. 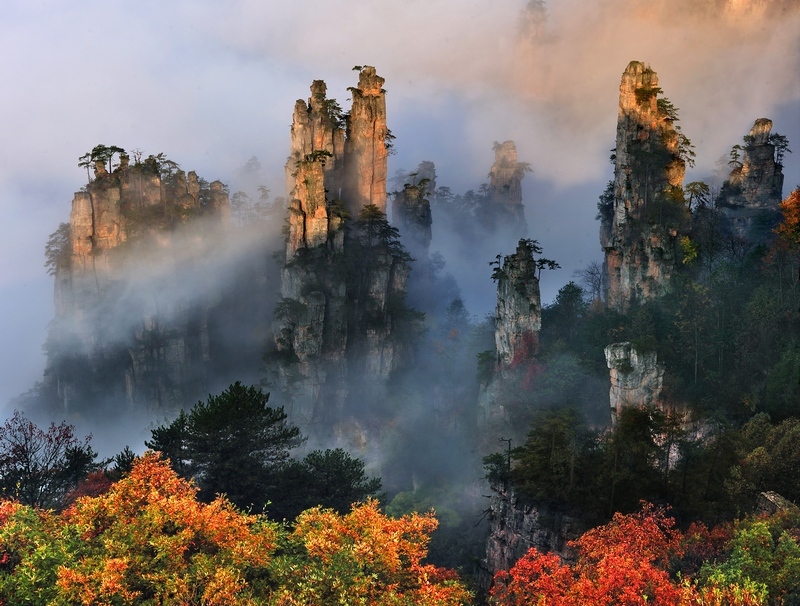 Transfer to the airport and fly to Zhangjiajie by an evening flight. Be met and transferred to your hotel. Drive to the Tianmenshan National Forest Park. Take the world's longest cable car up to the summit of the mountain. Tour the Biyeyaotai Scenic Area, walk along the plank road built along a cliff and enjoy a breathtaking view of clouds, virgin thicket and unique peaks. Have a bird's eye view of the "Road to the Sky" - The road was built spiral along the high mountains and has 99 bends; walk up along the "steps to the heaven" and then go through a huge hole - "the gate of heaven". Then proceed to Wulingyuan town and check into hotel. After breakfast, ascend the Yuanjiajie Scenic Area by the elevator. On the summit platform, you will see the Southern Sky Column - the prototype of the "Hallelujah Mountains" in Avatar. In January 2010, it had been renamed "Hallelujah Mountain Avatar" by the local government in honor of the movie. Proceed to the Platform of Forgetfulness to enjoy the nearby peak views and then walk across a supernatural work - the No.1 Bridge under Heave. 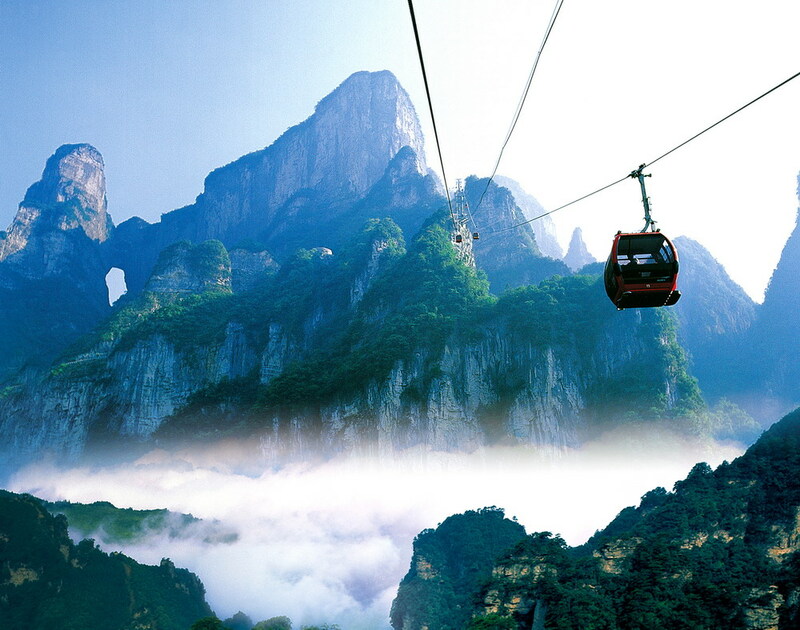 Climb up the ‘King of Peaks’ - Tianzi Mountain. From the unique peaks in clusters here you will rediscover the mysterious setting of Avatar. Go on sightseeing along the dreamlike fairyland -- Ten-miles Gallery. In the morning, explore in the fantastic underground cave-Yellow Dragon Cave. Hike through a grand valley (Baizhang Xia) and reach the sleepy Baofeng Lake. Then proceed to the Golden Whip Stream, this charming valley is most likely to bring you into the Pandora's wonderland of the movie. Then transfer to the airport to head for Guangzhou. Be met and transferred to your hotel. 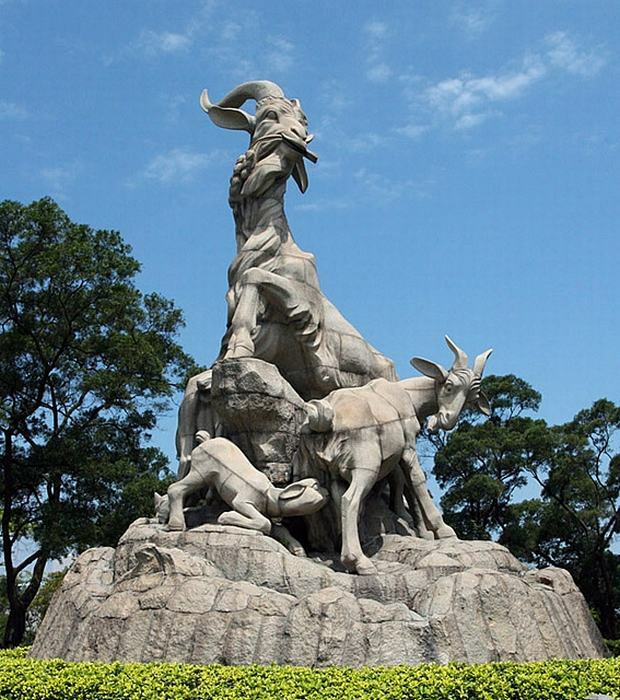 Visit Yue Xiu Park to see the Five Rams Statue, which is the symbol of the city. Then go to Chen Family Temple, the largest, and best preserved ancient architecture existing in Guangdong province. Later, visit Xiguan Old Houses and Qingping Market to see local people's life. Finally stop at Beijing Road for free shopping. Free time at leisure. Transfer to the airport and fly to your next destination.